Happy Sunday! 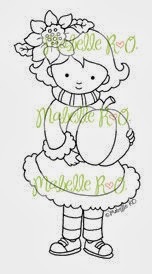 I am up on The Whimsy and Stars Studio Blog today sharing my card using this sweet little image of Mabelle's - Pumpkin Tiny Girl. 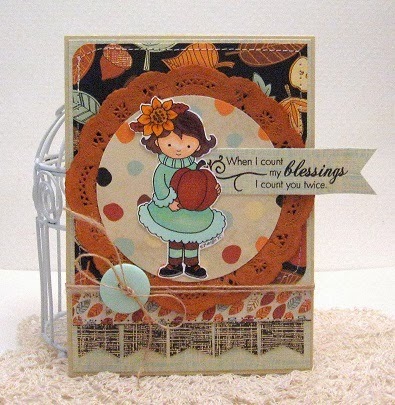 DP's from American Crafts, cardstock, button, twine and handstamped sentiment from PTI.